Science | All Tickets Inc. The New York Hall of Science is a hands-on science and technology center that not only allows but encourages visitors to interact with over 450 exhibits. 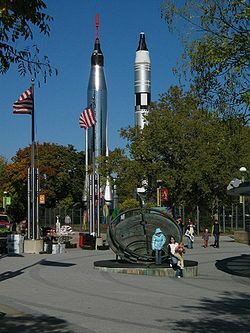 Housed in a building that once was a pavilion for the 1964 World’s Fair, the mission of the New York Hall of Science is to rouse one’s curiosity and unravel the secrets of science to children, parents, and teachers. Mathematica: A World of Numbers…and Beyond; Rocket Park; and Realm of the Atom. 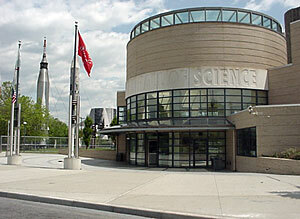 Whether you enjoy the museum as a family or a school-age group, the New York Hall of Science is sure to please. The terms “state-of-the-art” and “high tech” do not do justice to the Rose Center for Earth & Space. 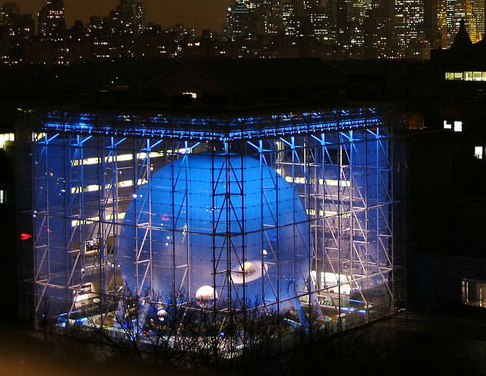 Part of the American Museum of Natural History, the Rose Center includes the Hayden Planetarium, which is the most technologically advanced Space Theater in existence. 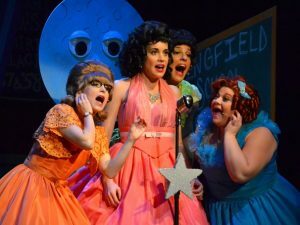 Take a field trip to the moon, see the universe being created or search for other forms of intelligent life. Visit exhibits in the Hall of Planet Earth, Hall of the Universe, and Cosmic Pathway. Public and group tours are both available. Fascinating, illuminating and vibrant, the Rose Center for Earth & Space will transport you to places of which you have only dreamed. 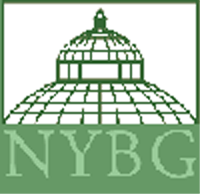 The New York Botanical Garden has stunning exhibitions and special events to offer visitors throughout the year. In the warmer months, visitors can tour gardens filled with roses, perennials and ornamental conifers. 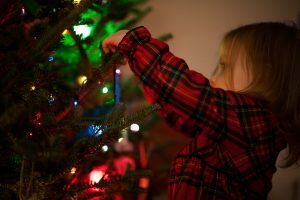 In late fall, a visit to the enchanting annual Holiday Train Show is a must. In March and April, the Orchid Show offers dazzling displays of over 300 different types of orchids. Learn about herbs, sustainability, plant science and history. 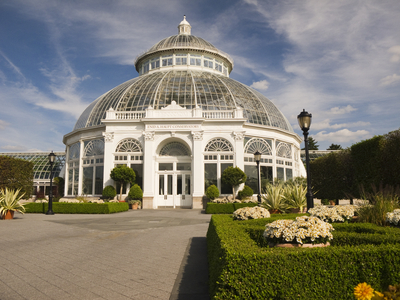 Visit the home gardening center or stroll through a rock garden. Beauty, grace and ingenuity define the serene and welcoming natural environment.Tour groups are welcome and may enjoy self-guided, guided and/or customized tours. 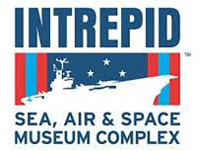 The Intrepid Sea, Air & Space Museum Complex offers visitors exciting experiences in science, technology and history. 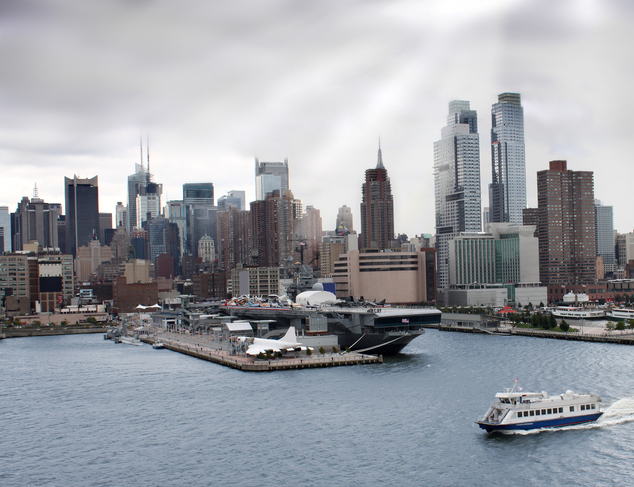 With the aircraft carrier Intrepid as its primary base, the museum utilizes all levels of this great, restored vessel. Commissioned in 1943, the Intrepid helped defeat Japan in World War II and was later involved in picking up astronauts after they splashed down. Today you can walk its decks, view its extensive display of aircraft and get a feeling for what life was like on this floating city. In addition to the Intrepid, the museum features the Growler, a “top-secret” Navy submarine, and the Concorde, the fastest passenger jet in the world. This is a full sea, air and space experience. On December 11, 2011, a ceremony onboard the Intrepid marked the shuttle’s transfer of ownership to the aircraft museum. While the Enterprise was not launched into space, it was used for 16 approach and landing tests in the 1970’s, eight of which were manned by teams of NASA astronauts. On April 23, 2012, the Enterprise was flown atop NASA’s shuttle carrier aircraft to New York’s JFK International Airport. 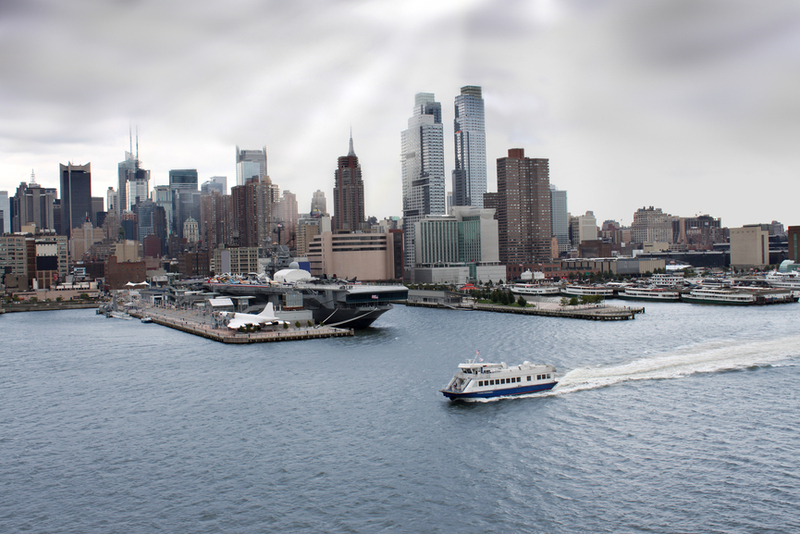 During that summer, the shuttle was transported by barge to the Intrepid museum complex. At present, the Enterprise is displayed on the deck of the aircraft carrier. Eventually, however, it will become part of new museum facility to be built across the street from the pier. 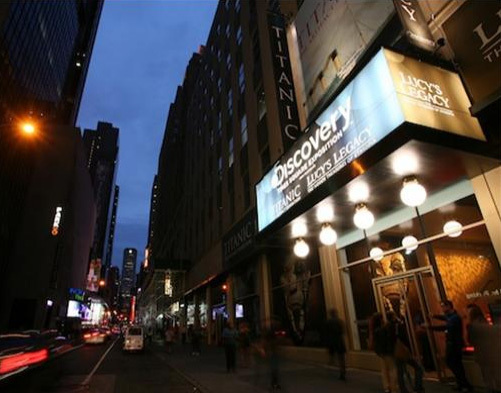 More than a museum, Discovery Times Square is the destination for discovery through unique and immersive exhibits in New York. 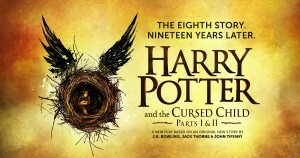 Here, events epic and rare come to life by connecting you to the greatest human stories ever told. Intelligent, exciting, and moving – it’s the experience that counts. 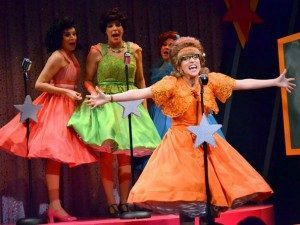 New York has always been something of a stage – a showcase for debuts and second acts. And so it is fitting that in the vast space that once housed The New York Times printing presses, Discovery Times Square now offers headlines of a different, but equally compelling sort. From the icy waters of the Titanic’s final resting place to genius mind of Da Vinci and the riches of King Tut, Discovery is proud to celebrate the world with the world class exhibits of the new Discovery Times Square. Discovery TS also features exclusive retail experiences — The Discovery Store featuring the latest in games, DVDs and other products from the #1 nonfiction company in the world, Discovery Channel, and The New York Times Store with a wide range of exclusive items perfect for the newspaper enthusiast or history buff. Take a tour of the human brain, get to know dinosaurs up close and personal, experience the Butterfly Conservatory, or marvel at the gems and minerals on display. A visit to the museum is an adventure to be sure. The permanent exhibits feature dinosaurs, gems and minerals, biodiversity, human origins, ocean life and African mammals. Don’t forget to inquire as to the special exhibitions that change periodically. 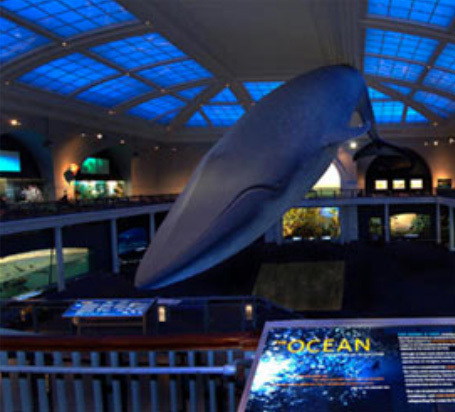 The kid-friendly American Museum of Natural History (AMNH) will entertain you with live shows, lectures and its magnificent IMAX Theater. Whether you take a guided tour or explore the museum on your own, an educational adventure filled with wonderment, insight and excitement awaits you.